San Diego is known for museums, zoos & aquariums, beaches, parks, and historic sites. Your plan includes some of its best attractions: meet the residents at San Diego Zoo, admire the natural beauty at Balboa Park, appreciate the history behind Cabrillo National Monument, and examine the collection at USS Midway Museum. For where to stay, traveler tips, maps, and other tourist information, use the San Diego travel route planning tool . Bengaluru, India to San Diego is an approximately 27-hour flight. You can also do a combination of flight and train; or do a combination of flight, bus, and train. The time zone difference when traveling from Bengaluru to San Diego is minus 13 hours. Plan for slightly colder temperatures traveling from Bengaluru in November, with highs in San Diego at 26°C and lows at 16°C. Finish up your sightseeing early on the 21st (Wed) so you can go by car to Los Angeles. 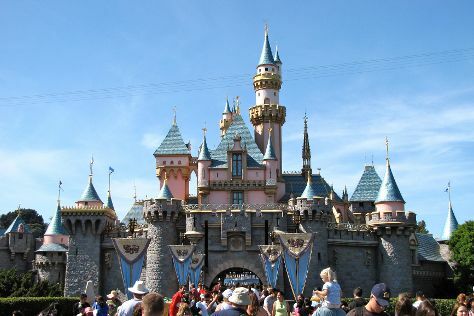 Get out of town with these interesting Los Angeles side-trips: Anaheim (Disneyland Park & Disney California Adventure Park). Pack the 23rd (Fri) with family-friendly diversions at Universal Studios Hollywood. There's still lots to do: see the interesting displays at The Getty Center, immerse yourself in nature at Topanga State Park, explore and take pictures at Staples Center, and explore the world behind art at Los Angeles County Museum of Art. To find traveler tips, other places to visit, reviews, and tourist information, read Los Angeles journey planning site . You can drive from San Diego to Los Angeles in 2.5 hours. Other options are to take a bus; or fly. In November, plan for daily highs up to 28°C, and evening lows to 15°C. Cap off your sightseeing on the 27th (Tue) early enough to travel back home.